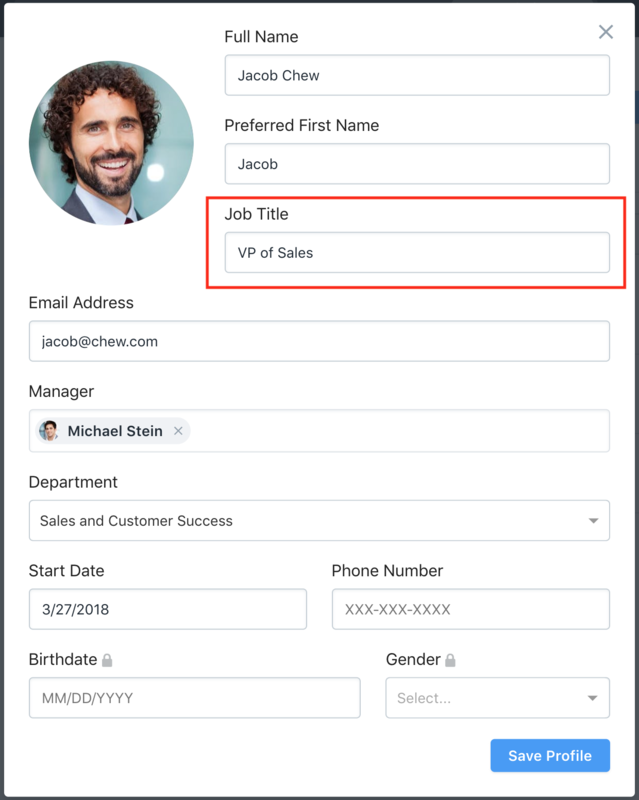 While employee's have the ability to make edits to their own profile, there are some fields that are restricted and must be changed by an Admin. This includes an employee's start date, their email address, manager, department and job title. All of these can be found on the same page! 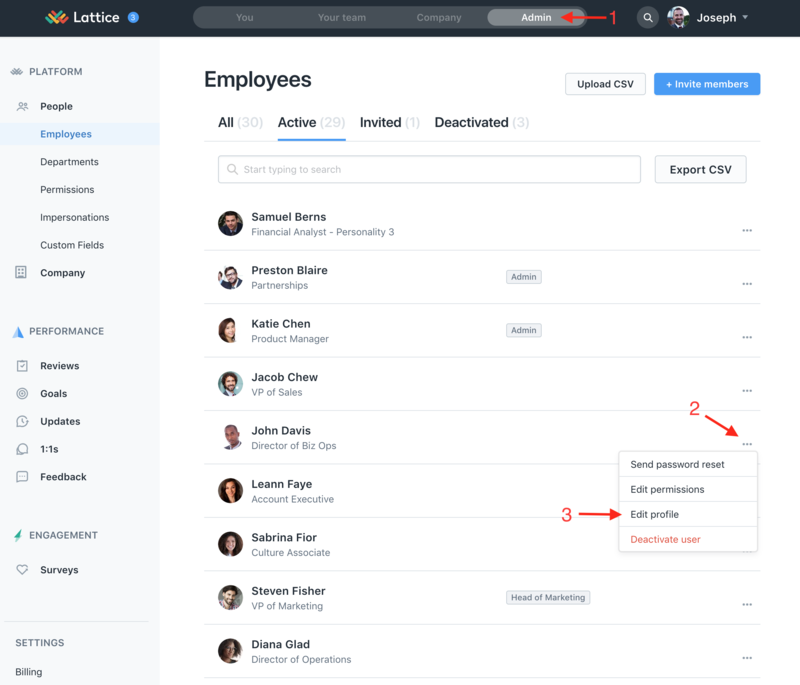 Step 3: Click "Edit profile"
Step 4: On the employee profile, simply type the new title under "Job Title"
Step 5: Make sure to click "Save Profile"